Special thanks to an anonymous reader for detailed information about the new DiorKiss. 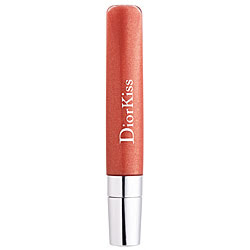 The new DiorKiss collection is called DiorKiss Luscious Lip-plumping Gloss. It has a new improved formula to create a lip-plumping effect. This reader of mine also mentioned the new DiorKiss will replace the existing DiorKiss line. The old collection is available while supplies last. The line will be launched worldwide in coming months. The Sephora website now features the new DiorKiss collection, but it is not yet available. You can have a sneak peek of the line-up! Good to hear from you again! How is everything? I am excited about the new DiorKiss as well. I am wondering what the new improved formula of the new line is like. Thanks a lot for stopping by and leaving the message!